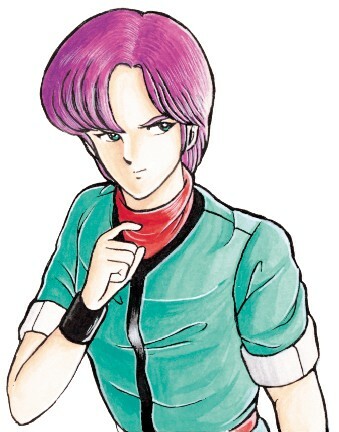 In the Phantasy Star II game manual, each of the playable adventurers is introduced with a brief summary, a picture of their in-game portrait, and an upper body illustration that provides a glimpse of their personality and inner character. These illustrations would later be reused in almost every artwork collection and book that included Phantasy Star II material, but rarely with the quality offered in this example. This is the illustration used for Hugh Thompson. This biologist is one to think matters through, like most scientists. His careful consideration of problems will help the heroes as they struggle against the biomonsters that run amok on their world.